For the homemaker...embroidered silk susani cushions from Turkey, handmade scented soy candles and silk ikat cushions, also from Turkey. These cushions have only just arrived in our store, just in time for Christmas! For the linguist...tiny, tiny printer's stamps (you could send a message, or spell their name), leather bound Shakespeare volumes and a collection of printer's ampersands. For the gardener...French herb pots, English watering cans and hand tools. For the entertainer...French cheeseboards (these are a very popular gift at the moment, great for serving cheese or pizzas), French ebony handled knives, French linen harvest tablecloths, and French (of course!) chopping boards and bone handled knives. For the cook...English cooking utensils, Mrs Beeton's home cookery book (opened at the pudding page, perhaps a recipe for next Christmas? ), French linen tea towels, and big and small mortars and pestles. For the decorator...lamps made from boot tree forms (arrived in store today), reindeer hide rugs, finger coral and sea fan coral, vintage glass fishing floats. For the collector...chemist bottles, egg timer (this is so cute! 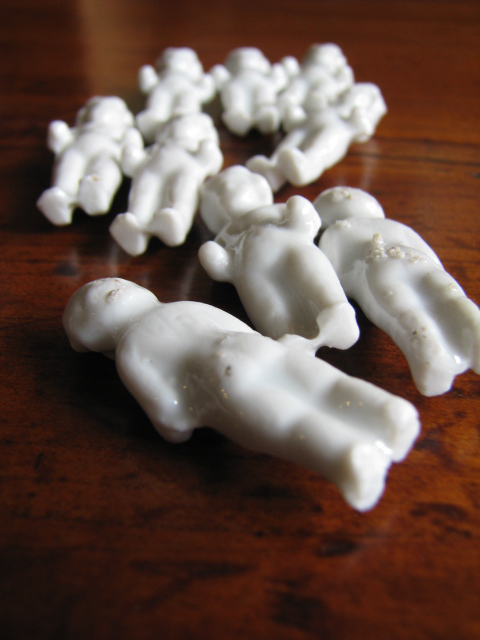 ), decoy duck, baby shoe lasts, boxed dominoes and sea urchins. 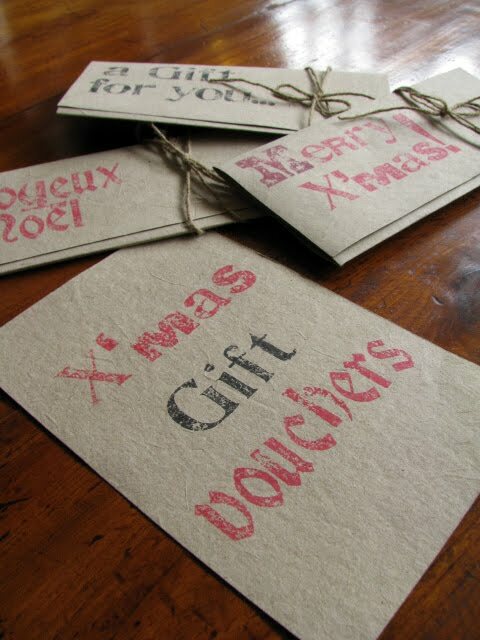 And for the very, very hard to buy for loved one, there is always our hand-stamped gift vouchers (on authentic elephant dung paper). Perfect. So many gorgeous gift ideas here and something different to what you would normally come across in the shops at this time of the year. I can imagine that it's not always easy to come up with different things. I love the christmas pudding miniature dolls and I'm wondering about the shakespeare books. Do they come in a set or can they be purchased individually? I also love the tiny printers stamps...too many beautiful things to chose from.